Optimizing a blog content in the eyes of search engines or fancy term search engine optimize (SEO) is a fixed price that many bloggers chased and hunted. For those who pursue the world of online business, SEO is absolutely necessary to support the marketing of blog content so that success. However, since Google changes the algorithm to the penguin in the year 2012 ago, then the demand for bloggers to immediately enhance or balance crawl blog content in search engines. What Should be in balance? Point number one is focused so that you have to know exactly what the needs of your readers so that when writing a post, the information presented is the best and can help them. Highly preferred is typical of a coherent post, starting from a general description, causes, characteristics, solutions and closed with the conclusion. To start this process of course you must first survey with a number of tools such as google trends, so that can know things that are most requested by readers. Keywords are the entry gates, how an article was found search engines. So that the provision of key words has become so important. Model keyword stuffing means a method of placing keywords repeated in an article written. For example, the target keywords that you are an SEO, the SEO words that will be written several times in the article content. Cultivated in the first paragraph the article already put two or three times a keyword. But the dark side giving these keywords should not be too much because it will be considered spam by search engines. Edges can be punished sandbox. Back again, how much did the number of keywords that are ideal in an article? Ideal number of keywords should not exceed 3 percent of the total words. The point is this, if the word count of the article you write 1000 words, it means that the key word is 30 (1,000 words x 3%). The uniqueness of an article is not only shown by the title of the article, but also judging from the structure of writing an article. The structure of an article simply include the title itself that the amount should not be 70 characters in which it is installed keywords. A good title is highly recommended to use verbs such as tips, tricks, learn, read and so on. Another part of the article structure also is meta description numbering no more than 160 characters and include keywords put there. 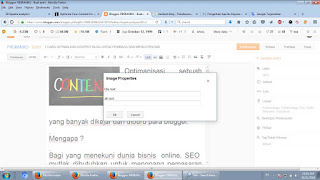 For sweeteners include the full articles related images or photos of the content that you write. But the problem is search engines can not see the images properly human, and therefore should be given the alt attribute tags on the images. Perhaps you often experience when clicking on a link from your articles but directed landed elsewhere that you are not interested. Though the title of the link that might make you interested, for example, the title of the link is written blog content but when clicked you go to a page Mp3 or video. This action most hated cheating search engines, so make sure you do what is right to provide a link to the loyal readers who visit. When you're done with the process of writing articles then try to read all the content of the article, where words that have relationships with other articles that might've been you wrote earlier. Link link to the previous article the word. Another way to put a link other articles that are still closely linked to the content of the article to be packed language "other articles" like the one on this long. Many bloggers write articles recklessly, had been so long his review also does not use sub-headings. 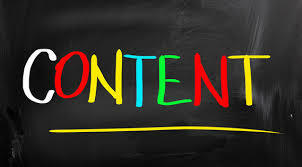 It will be very difficult for the reader to digest the content that you've created. So always use sub-headings (h2, h3) at every time writing articles. It would be also accompanied by bold and italics on certain words that are considered essential to find. The point is this, we sometimes to bring the end of the solid crawl trying to promote all-out article to a number of social web. This method is valid only if not excessive but rarely do I find a blogger doing promotions with mediocre category. So the important points at the number 7 here, the point after you follow all the guidelines that have been described earlier, then let the flow come naturally (organically) to your website or blog. 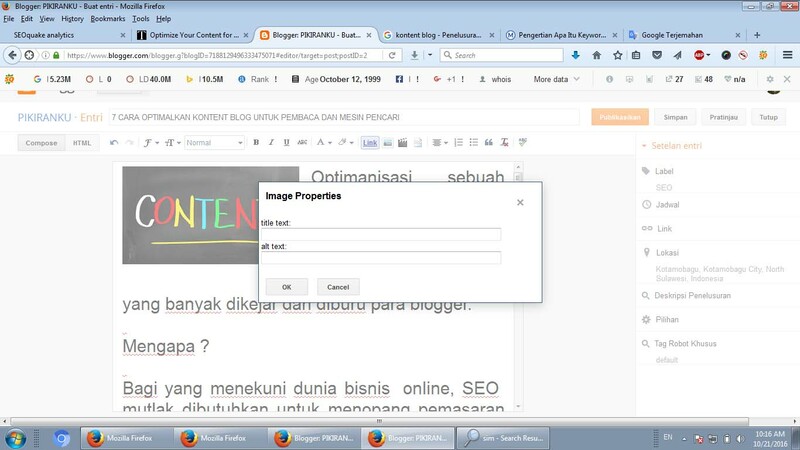 Let the search engines do his duty to examine the content of your own blog.